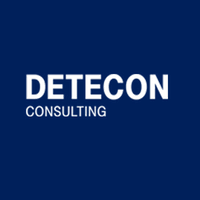 Detecon International GmbH is a leading technology management consultancy from Germany. With our technological expertise and our implementation strength, we are actively engaged in helping our customers shaping digital change in their organizations. Our global footprint, strong relationships with academia, direct involvement in research through our research and engineering centers and the strong commitment and engagement in forums, communities and bodies involved in regulating and standardizing digital themes, are assets we leverage on when engaging on innovation domains and supporting transformational change.